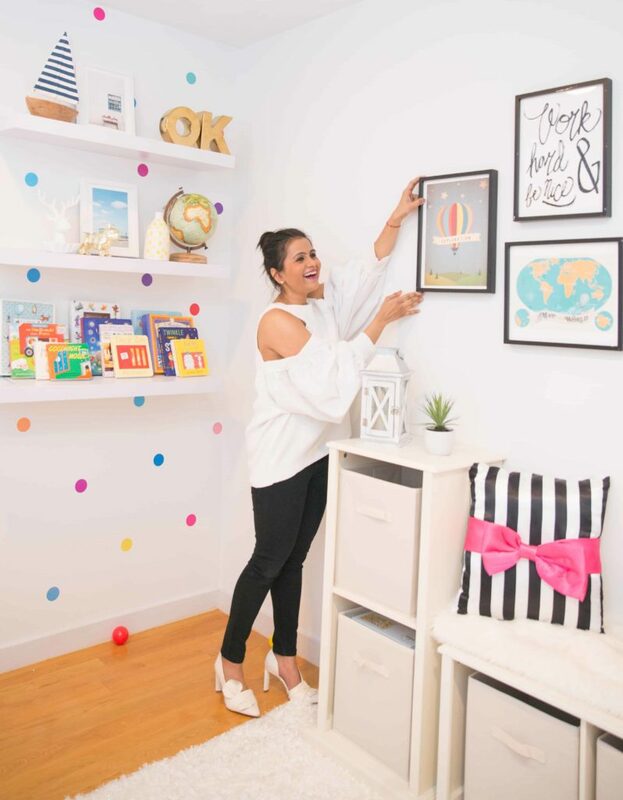 Since the frames are for the playroom, the overall theme I wanted to go with – colorful, fun and telling a story. This one was a bit tricky because I wanted to visualize how the frames would look like once up. Also, that would help determine the size of each frame. After shortlisting the frames ( shortlisting them was another difficult step, because there are too many amazing options on Minted’s site! ) After picking out the frames – I took a screenshot of each frame and started organizing them in Microsoft Paint. That allowed me to play around with the size, scale and layout. It was like a virtual wall and that made picking out the size of each frame really easy. 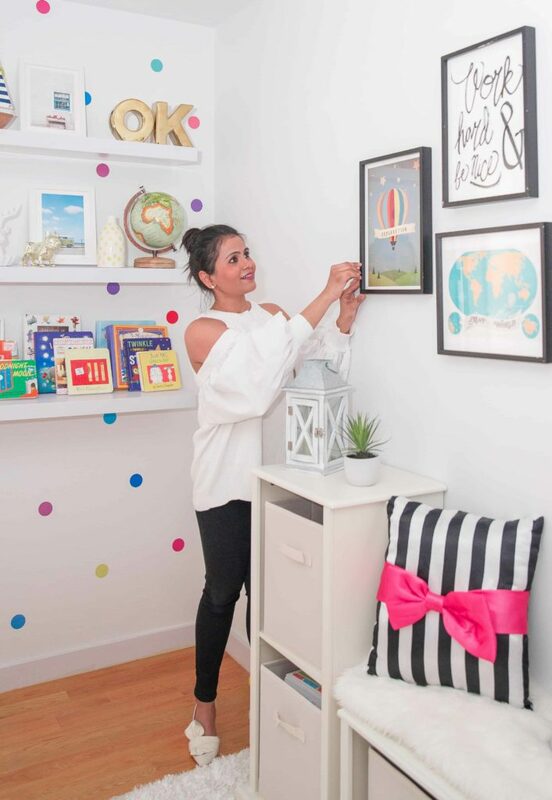 The frames are from Minted, a brand that I hugely admire for their mission of providing a platform to creatives from around the world. I highly recommend listening to the interview of the founder Miriam Naficy, on one of my favorite podcast shows – How I Built This. This is so cute! 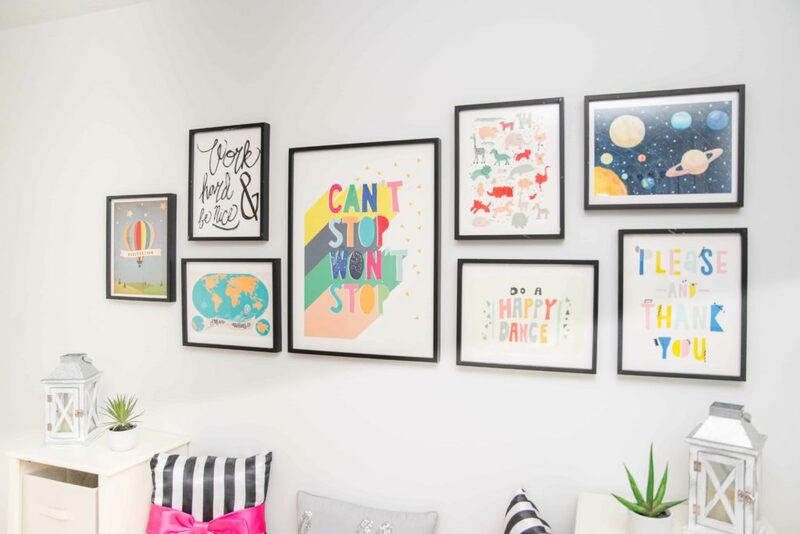 I love gallery walls and Minted! How adorable is this setup?! 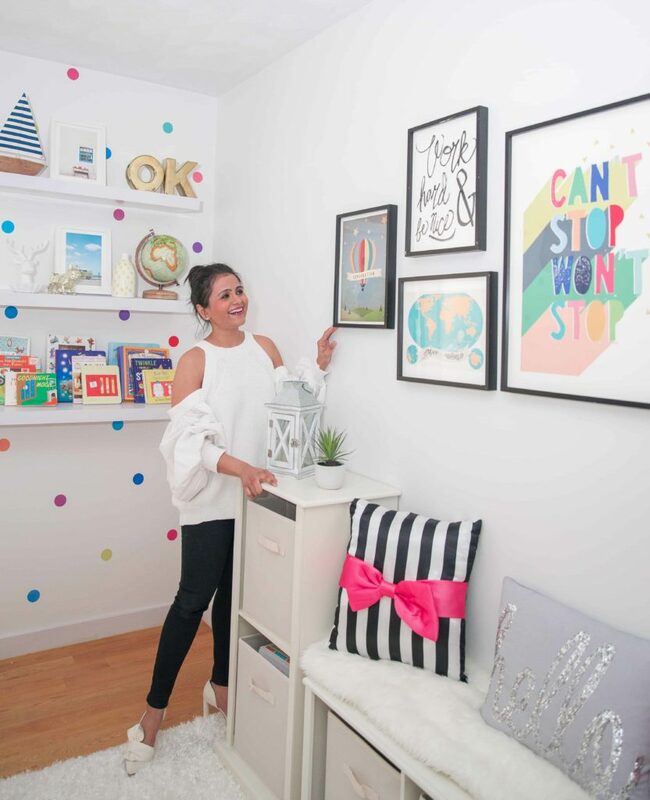 I love the fun polka dots you have on the wall, as well as the gallery! You did a terrific job. I always love that you incorporate color with pops of white in your decor. Thanks for sharing and I hope you’re having a great week so far! 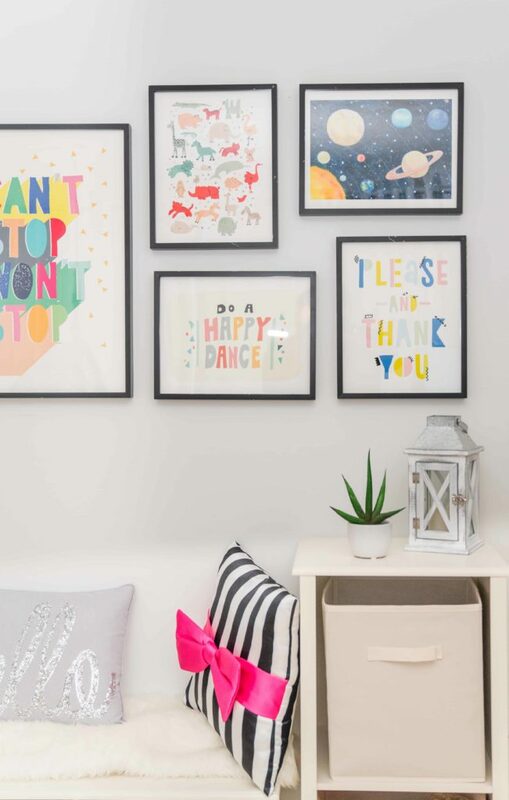 I LOVE LOVE your daughter’s room! So cute! Thanks Vanessa. I enjoy the decorating process so that was surely a lot of fun for me as well. This is absolutely darling! Love the theme you have here! This is sooo adorable! Love the decor. This is so lovely! Great decoration! Amazingly Beautiful.Just Love the decor. And one more thing i just love your top anyways. Beautiful outfit!Love this look on you! 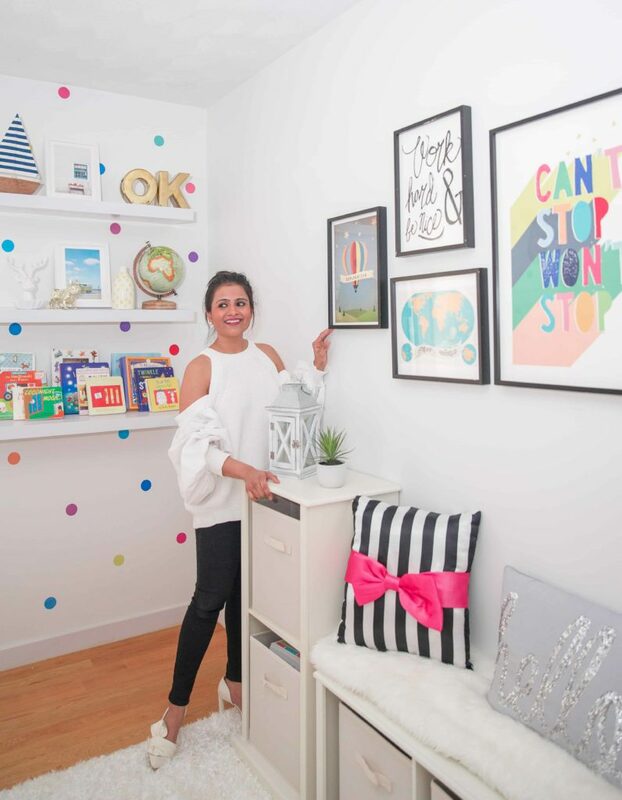 Plus that bedroom wall is amazing, Neha! You did an amazing job decorating it. Thanks for sharing it!